Doing affiliate marketing without a website or blog is possible and you can see success with certain methods, however not all will be free. And in order to make money online you will still need to have a web presence of some sort. This means you’ll be using your free social media accounts. Utilizing YouTube, Facebook, Instagram, Snapchat, and other platforms you ‘ll be, placing your affiliate links, promoting them in an effort to get clicks. Although this is not the ideal way to start, in fact it’s not recommend, it still can be done. There are of course free ways to go about making commissions as an affiliate without a website (which we’ll be discussing) and the other way is going the paid advertising route. This is for advanced marketers and if you do not know what you are doing you could lose a lot of money and not see any profit. If you do not have a budget to invest in online ads through social media platforms it could prove difficult to maintain a consistent income without a website. YouTube is probably the single best opportunity to do affiliate marketing without a website because of its search functionality. YouTube is owned by Google and is the second most widely used search engine, getting 30 million visits per day according to Search Engine Watch. You can use this to your advantage by creating a channel for free, creating videos and placing your affiliate link in the description of the video. Affiliate marketers make the most money from reviewing products and services, giving recommendations, creating “best of” lists and this can be done in the form of video. People are searching for reviews and solutions to problems, such as ‘best way to lose belly fat fast’. This is where you as the affiliate marketer make a video about your experience with the product, give an honest review, show your results, and tell the viewer that they can buy through the link in the description section. If you don’t want to do the video yourself, there are regular people willing to do testimonial style videos for cheap on sites such as Fiverr. Just visit there and type in: Testimonials. Watch the video below on detailed instruction on how to pick products and create a video to promote on YouTube. Preferably choose products/services that you know something about and would enjoy promoting. Join an affiliate program that will approve you without a website, such as ClickBank. Get your product specific affiliate links from the vendor/retailer you joined. Use your own social media accounts to promote your links, for example Facebook groups. Create YouTube videos and include your affiliate link in the description of the video. When searching online, for the most part, these are the types of answers you’ll find and people will make it sound easy. But this couldn’t be further from the truth on how to be successful with affiliate marketing. I’m sorry to be the bearer of bad news. To put it bluntly, most of the above items will not work without a good sized marketing budget! Affiliate marketing is supposed to be free, that is the whole point, and that is why it is the best online business model. In order to purchase ads on the top social media platforms you’ll need to have a business account, a fan page/ profile and have a domain name (URL) web page, landing page, or blog/website. On most platforms, depending on their policies, you cannot just put your affiliate link in the ad, with the exception of Bing Ads currently. Direct linking is forbidden for the most part. Most forums, blogs, and online communities do not allow you to post affiliate links. In order to collect enough emails for email campaigns you need a website to get people to sign-up to your newsletter. In order to connect with other social media influencers and bloggers for a co-op you need to have a ton of followers yourself, or you’ll need to pay a lot money or have a website that gets a lot of traffic for cross promotions. When trying to make money online, there’s no easy way around the fact that you are going to need a website eventually if you’re going to be affiliate marketing. This is by far the most reliable way to go about it. It is the best online business model out of them all because there is little to no expense, no overhead. Taking this approach is the least risky because there are no large investments. You just need time and energy to learn the tricks of the trade. Tried, proven and realistic, affiliate marketing gives you the opportunity to promote great products/services to people who need them. But it is not easy and requires real work. You’ll be helping people solve their problems too; there will be a little more on that below. Creating a simple affiliate website or blog and building a brand around it is recommended. Setting up a hosting account and domain sounds like too much of a chore, I get it. Sure, it’s not ideal but there is no real way to start affiliate marketing without a website. Keep reading to find out why. If you love branded products, finding them is as easy as searching for the name of the brand plus “affiliate program”. For products that cater to a specific niche, joining an affiliate network, like CJ or ClickBank can be beneficial. Remember, always keep the needs of your targeted audience in mind when selecting items to promote. Products and service that you choose can range from things that you use and know a bunch about, to things you want to know more about and after researching, share what you’ve learned with others. Keeping your interests aligned with your target market will lead to more conversions and people trusting you as the authority on the subject. So, you’ve trimmed your audience according to their interests and found fantastic products you know they’ll love. What’s the next step? Well, it depends on who your audience is and where you’re likely to find them. Join the Largest Affiliate Marketing Community in the World…FREE! Unfortunately, to get any traction (eyeballs) on your social profiles you will need to spend money to advertise and boost posts in order to begin to get a following. It is very difficult to get any meaningful followers naturally or organically within these platforms. 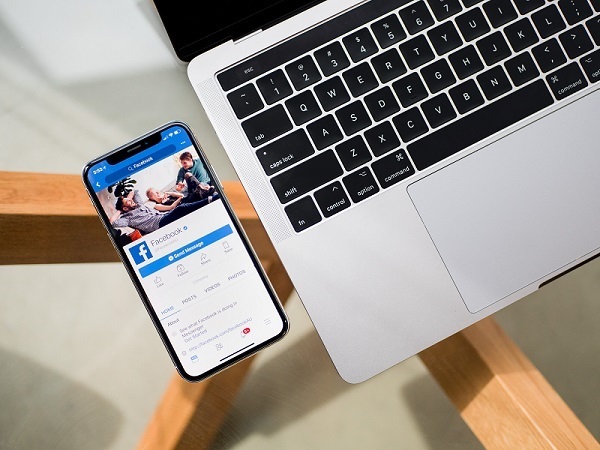 Social media platforms such as Facebook, Twitter, Pinterest and Instagram not only connect you to the right audience but offer different ways to advertise to promote your link. Also, you have to have a business page in order to be eligible to advertise on these social media platforms. Once you have a business account, by creating a fan page that it is related to your interest, in this example we’ll take Canoeing, you can begin building contest by sharing related info. The basic steps entail, first making a fan page in Facebook, and/or similar by creating accounts with other social media. You’d post interesting things you find, cool pictures, quotes, regular things that people post regarding their favorite sport. Every once in a while you’d post a product that you recommend and give it a review/recommendation. This post would have your affiliate link. Obviously this method first requires you to get a good amount of followers. This is done by liking other peoples posts, commenting, sharing within other groups of similar interests and basically being active. This is very difficult to achieve, which is why most opt to advertise to build momentum. The best way to grow your social following is organically though. NOTE: Do not pay for followers on sites like Fiverr. It can lead to your account getting banned. Would my audience be interested in this? Does it communicate the benefit? Is it a strong benefit? According to experts, social media marketing is more effective when used to build ongoing relationships with potential and existing customers. In other words, invest time and energy in creating a community of followers (customers) and building trust by creating content that speaks to their needs. If you prefer a hard sell, make sure your marketing copy is eye-catching, punchy and communicates a benefit strong enough for customers to make a sale — immediately or in future. You may also consider employing professional writing services, online PPC consultants for this. Landing pages are not a cost-effective alternative to owning a website. You will still need a web page builder or landing page software like ClickFunnels. This software has a pretty high monthly fee to use. It help users create online businesses by providing customizable sales pages. They usually include web hosting, tools for tracking online traffic and an option to create membership websites. But you still need a hefty budget for online ads to get people to these landing pages. Hubpages is another webpage platform where users create, share and promote content on any topic. A “hub” is essentially a mini blog than can include links to the products you want to sell. Again, ensure the content is useful to the reader and not just an ad. If you have a large enough budget to set aside for online ads, this can be a great option for you. You would need to spend at least a couple hundred dollars a week for this to pan out. You can place ads pretty much anywhere — ad networks, Google, Bing, social media platforms, search engine results page, other people’s blogs through the Google AdSense network, niche websites, and many more. The only caveat is that you will still need to have a web page for this. Meaning a domain name, landing page and hosting. As well as a link tracker to know which ads are working and which are a waste of money. You must know your return on investment (ROI), your cost-per-click, conversion rate, etc. or you will burn through cash like no tomorrow. This model is a bit complicated, but the community I mention above has stellar online training on PPC. This is a model where you, as the advertiser pay the publisher, company or platform only when people click on your ad. PPC advertising is effective, which is why it has been an enduring favorite for many affiliate marketers. However, keyword research is key. You need relevant keywords and phrases that best match with your niche audience. In addition to fine-tuning your keyword, make sure your advert conveys a compelling message. Set a reasonable budget, monitor your progress and stay flexible so you can tweak the campaign for better results. Another version of this advertising model is CPA, also known as cost-per-action or cost-per-conversion. This is when the advertiser only pays when a potential customer performs a certain action, such as making a sale, submitting a form or downloading content. One of the largest networks for finding these types of offers to promote is MaxBounty. When using PPC or CPA advertising, please ensure the landing page you direct customers to is good quality and fully functional. You may use the merchant’s page but it is advised to set up your own, customized landing page. Posting on forums, commenting on blogs and leaving reviews with your affiliate link are NOT great ways to display your links. Unfortunately, a lot of forums have rules against posting affiliate links and doing anything that is recognized as selling will get you banned. Same goes for Facebook groups and most online communities. Most all blog owners will not approve any comments with affiliate links in them. So leaving reviews or a recommendation with your link will not yield any positive results. Now, if you had left a comment with a helpful link to a page with a similar topic from your own blog, they might approve it because it is not directly selling. But again they most likely will not because, they have nothing to gain by giving you a backlink and will probably see the affiliate links on your blog anyway. Backlinks are usually only given in exchange for a backlink from your site if it has a high domain authority and ranks well. Otherwise this is effort will also prove futile. This might be a viable option, but if you’re going to write an ebook you might as well have a website too. After all, you’re going to be writing a lot of content. Also, beware as an Amazon Associate, it is against their terms and conditions to place affiliate links in an ebook. So you’d have to find alternative affiliate programs that accept this practice. However, framing the narrative around a selection of items your promoting can translate into profits if your ebook is on an online marketplace that gets decent traffic for topics related to your eBook. Like any career path, success in affiliate marketing requires training. Assistance from fellow marketers. And you most likely will need personal coaching to navigate this new field. Especially to do affiliate marketing without a website. Like I said, the best way to learn how to do affiliate marketing the right way is by joining a well respected training community (mentioned above) that has the honed in expertise that can fast-track your journey. Besides it’s free. With over a million members, with thousands of experts willing to help, you can source the info you need on how to start affiliate marketing without a website or with one, no matter your level of expertise. So give it a try!